Skookumchuk Narrows trail on the Sunshine Coast British Columbia. I have always moved. I danced, I hiked, I jogged, and I walked. I was enthralled with the muscular flexibility of my body. I reveled in my aptitude and strength. I found music in the way I moved. RA changed all of that, switching my rhythm to an unwanted cadence. The graceful unfettered flow of my joints suddenly became wooden and bumpy, as though I was constantly driving on a gravel road. Exercise is important for everyone, but it’s vital for those with arthritis. Movement is therapeutic for the joints and helps maintain healthy cartilage. Dr. Linda Li from Arthritis Research Canada says “cartilage is like a sponge – the only way to flush nutrients through the cartilage is to move the joints”. It’s her goal to show how important activity is for those living with chronic disease (article attached below). We were made to move, flow and shift. Movement stimulates my consciousness and my body. My physiotherapist and rheumatology nurse told me that most deaths related to RA are cardiovascular in nature, so not only is activity important for the joints but also for the heart. My heart is the most important muscle in my body and I won’t let RA take it from me. It can be difficult to exercise when joints are sore and swollen. I admit, I am less active in the winter. Dark, cold and damp days offer me little motivation to go outside and move. I’m less likely to lug a backpack full of clothes and towels to an indoor swimming pool when water pours down from the sky. But I can’t let the seasons dictate how and when to keep moving. I find little ways to fit in several minutes of activity each day. In inclement weather, I use a video game console to guide me through an indoor exercise program. Not only do the programs get me moving but it makes exercise fun – if exercise is not fun, I won’t do it, so this makes it an activity I enjoy instead of it being just something I have to do. When schedules allow, I go to weekly ballroom dance classes with my partner. I am more active in the summer. I am lucky to have an outdoor pool just steps from my building – and truly there’s nothing better than floating in the tepid water under a blue sky, listening to the gentle splash of water and the songs of birds. 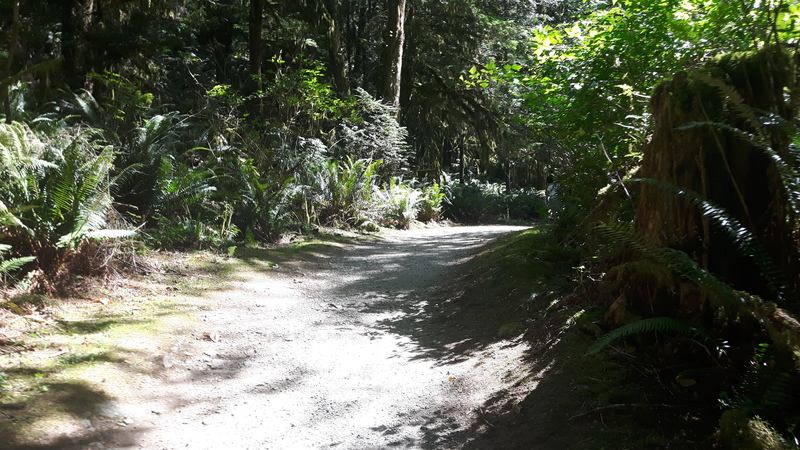 Longer days filled with sunshine lend themselves to evening walks and easy afternoon hikes in our beautiful mountain trails. I find a regular routine when the temperature changes. I feel better, not just because of the arrival of warmer weather, but because I am moving. My stiff joints become malleable and fluid, flushed with a gentle warmth that’s nothing like the suffocating heat of inflammation. I am more alert and more creative when I am moving. It’s on these days I find a rewarding balance between work and play. It helps to have a stimulus to move. I use a Fitbit to remind me to move every hour. 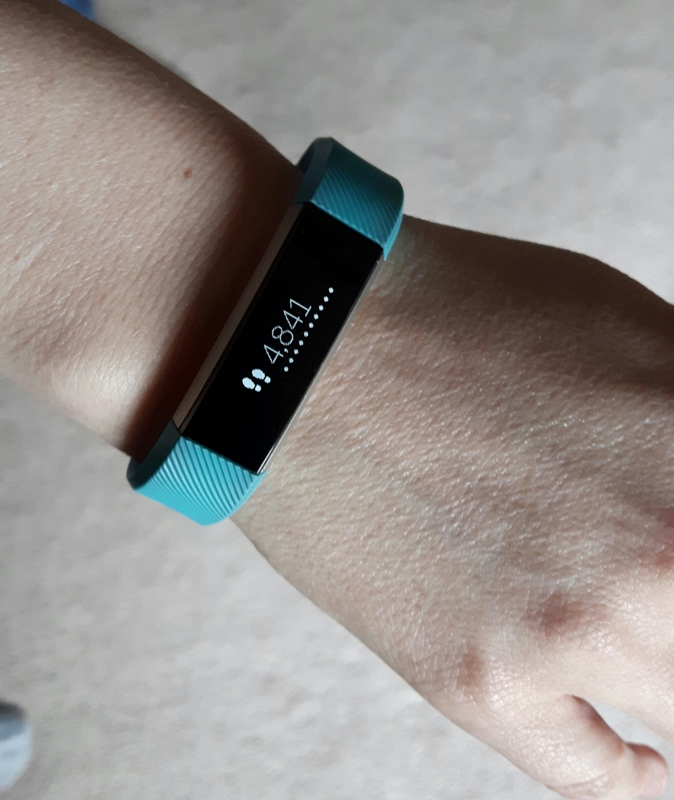 I can set it to an hourly and daily step goal, as well as minutes of activity. I have a sedentary job so any reminder to get up and move is beneficial for my body – it also gives my eyes a break from the glowing computer screen and relieves my cluttered mind from the constant flow of thoughts, tasks and words. The cherry blossoms have finally burst from their buds. The days are still cool and damp, but there’s sunshine on the horizon, and I’m hopeful that we are only a few weeks away from clear skies and mild temperatures. I don’t have to spend hours in the gym sculpting my body with weights and treadmills. Moving is as simple as taking a walk or climbing some stairs in my building – and no matter what kind of day I am having, I am always willing to put one foot in front of the other and walk away from RA. One powerful step at a time. I love my bicycle. I do not go far but I do love to ride it. Oh and yes spring is almost here. Now get this darn ankle healed and I am off with the wind in my ,,,, ok I once had hair.